During 2017, the UK and EMEA loan market contracted slightly, as a result of patchy acquisition financing activity and reduced levels of refinancing. Sluggish activity levels are attributed to subdued demand for bank credit as a result of a range of geopolitical factors, including the continuing uncertainty surrounding Brexit. Central bank measures and a low interest rate environment have continued to support a good flow of liquidity. A mixture of participants remain active in the English-law loan market. Traditional banks still play an important and active role in the loan market, and remain dominant in the investment-grade market. In other sectors, particularly in the leveraged, real estate and infrastructure finance markets, institutional investors (CLOs, finance and insurance companies, hedge, high-yield and distressed funds, and loan mutual funds) are more prominent. The years since the global financial crisis have seen the rise of alternative credit providers such as direct lending funds, particularly in the mid-market. This has been fuelled by a variety of factors, including the pursuit of yield in a low interest rate environment, the funding gap left by constrained bank liquidity and the increasingly strict regulatory capital environment applicable to banks. Most English-law syndicated loan transactions use the Loan Market Association (LMA) recommended forms as a starting point for negotiations. In addition to various types of facility agreement and ancillary documentation for the investment-grade market (the Investment Grade Agreements) and leveraged lending (the Leveraged Finance Documentation), the LMA collection comprises multiple templates for more specialist products, including real estate, developing markets and pre-export finance. The LMA has done a significant amount of work on documentation over the past few years, producing a number of new templates and guidance materials and making a variety of changes to the terms of its facility agreements. 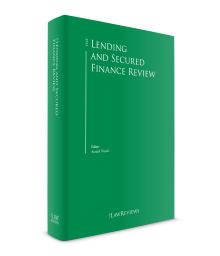 Much of the LMA’s output reflects legal and regulatory developments, for example, the implementation across the European Economic Area (EEA) of Article 55 of the EU Bank Recovery and Resolution Directive (BRRD).3 It has also published guidance material on the implications of Brexit for the loan market and on the documentary and practical implications of transitioning syndicated loans from LIBOR to risk-free rates. These topics and their impact on documentation are discussed in Section II. Managing the steady flow of legal and regulatory changes that have emerged in response to the financial crisis, as well as other adverse events affecting the financial sector since then, remains an ongoing challenge for loan market participants. Some of the topics outlined below have been a feature of loan documentation discussions for some time. In some cases, sufficient consensus has emerged to enable them to be addressed in the LMA templates, leaving only points of detail to be negotiated. Where there remain diverging views as to how the issue should be addressed, the contractual treatment must be agreed on a transaction-by-transaction basis. The potential discontinuation of LIBOR is the development that has received the most attention from loan market participants over the past 18 months. Risk-free rates, intended to be used in place of LIBOR, have been identified for all current LIBOR currencies other than the euro. Market participants and regulators are now looking at the implications of transition to these risk-free rates across the financial markets. Loans and floating rate bonds present the greatest challenge in terms of transition arrangements. Work on overcoming these challenges has intensified this year, and movement in documentation terms is anticipated in the near future. The key issues for the loan market in this respect are discussed further below. The prospect of Brexit and its potential impact on the loan market has also continued to receive attention from loan market participants. The documentation implications of Brexit were analysed in some detail in the wake of the referendum. It remains the case currently that none of the legal risks identified have prompted widespread changes to documentation terms, but as the shape of the Withdrawal Agreement and (potentially) the post-Brexit relationship between the EU and the UK becomes clearer, these issues will need to be revisited. The nature of the key risks and the reasons why they are not being addressed in all transactions are outlined below. Increasingly aggressive enforcement action and the severity of the penalties imposed by sanctions authorities, as well as reputational concerns, have in recent years prompted lenders to seek additional and specific contractual assurances from borrowers regarding the borrower group’s compliance with all sanctions and anti-corruption laws to which both the borrower group and the lenders are subject. Initially, borrowers were resistant. Historically, these topics were addressed as part of a lender’s pre-contract due diligence and, in terms of contractual protection, lenders simply relied on general representations and undertakings relating to the borrower group’s compliance with applicable laws. Representations and undertakings on these topics are still resisted by stronger borrowers but have become common in the English-law loan market generally over the past few years. When such specific contractual assurances on sanctions and anti-corruption laws were first proposed, lenders’ individual formulations often varied widely. The wide-ranging phrasing and uncertain limits of the representations and undertakings proposed by some lenders led to these provisions being quite heavily negotiated. The lack of consensus among lenders on the appropriate scope of contractual provisions on these topics meant that, in many transactions, diverging views within the syndicate were difficult and time-consuming to resolve. This remains the case in some instances, but over the past few years, as lenders and borrowers have become familiar with the aspects that are likely to prompt discussion, many lenders are making efforts to produce initial drafts that anticipate the most common objections from the borrower side. For example, borrowers, concerned about their ability to comply with and monitor these provisions, often seek to limit their scope by reference to specific regimes (e.g., the US Office of Foreign Assets Control regime and the EU regime) rather than any sanctions regime anywhere in the world. Limitations by reference to materiality and knowledge qualifications, particularly in relation to compliance by directors, officers and other employees or the indirect use of proceeds, are also often sought. There is also evidence that lenders are tailoring their proposals more carefully to the risk profile of the borrower in question. It seems possible, however, that lenders and borowers may need to revisit sanctions provisions both in existing and in new lending transactions in light of the US’s recent announcement of its intention to reactivate sanctions against Iran and the EU and UK authorities’ response. To date, the LMA has not incorporated any specific provisions relating to sanctions compliance into its English-law forms of facility agreement, although its templates for developing markets transactions (the Developing Markets Agreements) contain skeleton definitions as a starting point for the insertion of appropriate commercial terms. All of the LMA’s templates contain footnotes to the representations and undertakings clauses to remind users to consider whether express contractual protection is required. These footnotes also highlight that if representations and undertakings on this topic are agreed, the parties should consider whether amendments to those provisions should be the subject of unanimous lender consent (rather than majority lender consent), reflecting the importance that individual lenders attach to such provisions. For similar reasons, in syndicated transactions some lenders are seeking to provide that a breach of the agreed sanctions provisions should enable individual lenders to determine whether they wish to be prepaid and have their commitments cancelled (instead of, or even in addition to, triggering an event of default that requires a majority lender decision to enforce the debt and exit the deal). Representations relating to anti-corruption laws feature in some of the English-law LMA templates, for example, the Leveraged Finance Documentation and the Developing Markets Agreements. They are not included in the Investment Grade Agreements. The Chief Executive of the UK Financial Conduct Authority (FCA) announced in July 2017 that the FCA would cease to support the production of LIBOR at the end of 2021. It was confirmed in November 2017 that LIBOR panel banks had agreed to continue submitting to LIBOR until this time. Whether this means that LIBOR will cease to be produced after that date, and if so, whether it will continue in its current form, remains unclear. Current indications are that if LIBOR does continue to be produced, it will be used only for limited purposes, for example, to run off smaller legacy transactions. The working assumption is that most financial products that currently reference LIBOR, including loans, will transition to risk-free rates, or a derivative thereof, over time. An important issue for the loan market is the impact of the potential discontinuation of LIBOR on existing loan documentation. The LMA templates contain an extensive fallback rate regime and market disruption provisions, which apply in the event a screen rate is unavailable. The fallback rates are, however, designed to bridge temporary disruptions rather than to cater for a situation where a rate is discontinued or materially altered. As such, there are concerns that current fallback arrangements may not operate effectively in this instance, and it is likely that loan documentation will need to be amended to accommodate a replacement rate. Since 2014, the LMA templates have included an optional provision that provides that if any screen rate is unavailable, the amendments to the agreement required to implement a substitute rate may be made with majority lender consent. This is, however, an optional provision only, which is not always included in loan agreements and in any event, will only assist if LIBOR is unavailable on screen. If amendments are desired or necessary prior to that point, the consent of all lenders would still be required. To address those concerns, in May the LMA published some updated language, developed in conjunction with the Bank of England’s Risk Free Rates Syndicated Loans working group, which permits changes to a syndicated loan agreement to accommodate a successor to LIBOR in a wider range of circumstances, with majority lender consent. This language will be useful in many transactions, and includes a number of options, to acknowledge that individual lenders and borrowers may have different views on the appropriate voting arrangements for transition. Lenders and borrowers may also have different views as to when it is appropriate for the loan market to transition from LIBOR. The Bank of England’s Working Group on Sterling Risk-Free Rates endorsed a reformed version of SONIA as the preferred alternative to sterling LIBOR, which has been available since April. In theory, it is currently possible to write a loan referencing SONIA in place of LIBOR. SONIA also has an advantage over other risk-free rates (such as the rate chosen by the US authorities for dollars) in that is it a reformed, rather than an entirely new, rate. As such, it is traded and is better understood. However, SONIA is materially different from LIBOR in a number of respects. It is an overnight and backward-looking rate. A move from a forward-looking term rate such as LIBOR to a backward-looking overnight rate such as SONIA has material implications for borrowers in terms of their ability to predict and manage cash exposures. These difficulties are not insurmountable, but do require careful consideration and material changes to systems and processes. As a result, they may not be desirable for all users, suggesting that a term rate derived from SONIA is a preferable solution for the loan market. The options for calculating such a term rate are currently being examined and a consultation from the relevant Bank of England-led working party is anticipated shortly. Work is also ongoing on how the economic differences between LIBOR, which takes account of bank credit risk, and SONIA, which does not, might be dealt with. In summary, although a number of difficult issues remain to be resolved, thinking and market acceptance appears to be evolving. It is hoped that guidance on transition of the sterling loan market at least, will become available in the near future. Whether the same is true in relation to other LIBOR currencies is less certain and remains a concern. Similar work is ongoing in each of the LIBOR currency countries, but each project is at a differing stage. Coordination of progress across currencies as well as across products will be key to a smooth transition, not least in the loan market where multi-currency facilities are commonplace. The BRRD introduced an EEA-wide framework for the recovery and resolution of credit institutions and investment firms. Among other things, it requires Member States to confer specified resolution powers on regulators in respect of EU credit institutions, most investment firms and their groups, building on the special resolution regime put in place in the United Kingdom under the Banking Act 2009. The United Kingdom’s obligations under the BRRD prompted the addition of a new resolution tool to the Banking Act, the power to convert and bail-in the liabilities of an institution. The bail-in powers conferred on the authorities are broad-ranging. The amended Banking Act makes provision for the conversion of an institution’s debt to equity and empowers the authorities to cancel or modify the terms (or the effect of the terms) of a contract under which an institution has a liability. The ability of the Banking Act regime to interfere with a failing institution’s obligations governed by foreign law (i.e., whether it would be effective to do so) has always been in question. The BRRD, as an EU measure, addresses this problem within the EEA by providing for mutual recognition. It also seeks to solve the problem, in so far as possible, in contracts governed by the laws of non-EEA jurisdictions. Article 55 of the BRRD seeks to make the bail-in tool effective in relation to liabilities governed by the law of a non-EEA country by requiring institutions (under threat of enforcement action by their local regulator – in the United Kingdom, a fine or censure) to include in all contracts governed by non-EEA law under which they assume a liability, a bail-in clause that acknowledges that the EEA institution party is subject to those provisions. ‘Liability’ is not defined in the EU legislation but has been construed broadly in the UK regulatory provisions, which define ‘liability’ as ‘any debt or liability to which the BRRD undertaking is subject, whether it is present or future, certain or contingent, ascertained or sounding only in damages’. The main objective of the bail-in tool is to enable the recapitalisation of a failing institution; for example, by implementing a debt-for-equity swap. The LMA and others have raised concern with regard to the definition of ‘liabilities’ adopted by the UK regulators, as it suggests that a bail-in clause will be required in documents containing liabilities that would seem unlikely ever to be the subject of a bail-in. For example, in the context of the syndicated loan market, BRRD firms are most often party to syndicated lending documentation as lenders or in an administrative capacity, for example, as agent. Their liabilities include their obligation to provide credit and certain contingent payment obligations, under indemnities. To facilitate compliance with Article 55 by its members subject to the BRRD, the LMA produced a form of bail-in clause for use in conjunction with loan documentation governed by the law of a non-EEA country pursuant to which a relevant institution assumes a liability. The LMA form of bail-in clause is now incorporated into most non-EEA law loan documentation, including ancillary documentation to which any lender subject to the BRRD is a party. Following Brexit, the UK will (absent special arrangements) become a third country for the purposes of the BRRD. In anticipation, it has been suggested by some that Article 55 clauses should also be included in English-law contracts (such as the Investment Grade Agreements) under which an EEA institution has a liability and which is expected to continue beyond the UK’s withdrawal from the EU. Currently there seem to be mixed views among the banking community in the EU27 as to whether this is necessary or advisable. So far, Article 55 clauses are not being adopted in English-law lending documentation on a widespread basis. The LMA has alerted its members to this issue but has not recommended that Article 55 clauses should be adopted in English-law agreements. IFRS 16 was published in January 2016. It represents a major accounting change, which will have an impact on financial definitions and ratios used in loan and other finance documentation. It is mandatory for accounting periods starting on or after 1 January 2019, although it can be adopted earlier subject to conditions. In summary, leases may be accounted for in different ways under current rules (IAS 17). In the lessee’s accounts, finance leases are essentially treated as borrowings. The leased asset appears on the asset side of the balance sheet and a discounted amount in respect of the obligation to pay rent will appear as a liability, as if the lessee had bought the asset and incurred debt to pay for it. Assets leased under an operating lease, in contrast, do not appear on the balance sheet. IFRS 16 does not substantially change the IAS 17 lessor accounting regime, but it represents a major alteration in the approach to lessee accounting. Broadly speaking, it requires all leases – including leases that are currently classified as operating leases – to be accounted for on-balance sheet. This change has the potential to affect loan documentation in a number of ways. For example, the balance sheet recognition of operating lease commitments will affect loan terms that reference the lessee group’s total assets; for example, asset-based financial ratios and guarantor coverage tests. EBITDA calculations will be affected owing to the additional charges to interest and depreciation on leases previously classified as operating leases. Particular attention has focused on provisions that purport to measure indebtedness. Loan market practice is to treat only finance lease obligations as borrowings, in line with the current accounting treatment. The potential for uncertainty means that for some time, borrowers with loan facilities extending beyond the implementation date for IFRS 16 have chosen to provide expressly that any provision that incorporates the concept of a finance lease shall be interpreted as that term is interpreted on the date the facility was entered into. Underlining the importance of this development in the loan market, the LMA templates include optional wording to this effect. As the implementation date draws closer, borrowers are focusing in more detail on how IFRS 16 is likely to affect their financial statements. It is anticipated that affected clauses and definitions will need to be adjusted to accommodate the implications of the new standard, although as yet, there remains no generally accepted approach. Adjustments, where made, are being drafted to accommodate the circumstances of the relevant borrower. The legal and regulatory changes that could flow from the UK’s departure from the EU (as well as the potential commercial implications of Brexit) have been analysed in some detail. d whether an Article 55 clause should be included in English-law loan documentation (as noted above). In general, none of these identified risks have, to date, prompted changes to documentation terms that are being adopted on a market-wide basis. The only exception is that if a clause incorporates a reference to the EU, the parties may specify whether that term is intended to include the UK. In relation to a number of these points, this inaction is because closer analysis has led to the conclusion that Brexit is unlikely to present an issue, at least from a UK perspective. For example, the application of the UK withholding tax regime as it affects payments under a loan agreement (discussed further in Section III) is not predicated on EU membership. In other cases, there is consensus as to the nature of the risk, but whether the risk needs to be addressed contractually depends on the outcome of the UK’s exit negotiations, which remain ongoing. For example, there is thought to be considerable incentive for the remaining EU Member States to agree some form of reciprocal arrangement as part of the UK’s exit negotiations to ensure their own judgments remain enforceable in the same circumstances as currently in the UK (as well as a number of legal options that the UK may take itself). Accordingly, in most instances the general conclusion is that unless and until the UK and the EU agree that this will not be the case, current market practice should be maintained. This is reflected in the LMA’s response. Although it has published some helpful guidance material and some slot-in ‘designated entity’ language (see below), it has not yet recommended any changes to its template documentation. As a result, the need for and extent of any Brexit-related adjustments is likely to require attention in most loan transactions until there is greater certainty with regard to the shape of the UK’s future relationship with the EU (even if the conclusion, as in most cases currently, continues to be that no action is required). The main implication of Brexit for most regulated financial institutions, in relation to loans and other products, is whether they will be able to continue to offer those products after Brexit if the EU passports on which the provision of those products currently relies are withdrawn. Commercial lending is not a regulated activity in the UK; however, that is not the case in all EU countries so there will be transactions where a lender currently holds its commitment or participation, or both, through its UK entity and lends to borrowers in relevant EU countries in reliance on its passporting rights under the EU Capital Requirements regime. If those rights come to an end (and local regulation in the relevant country requires the lender to be locally authorised to continue to participate in the relevant facility), the lender may need to transfer its commitments to an appropriately authorised local entity or exit the deal. Current indications are that passporting rights will cease after Brexit (or on the expiry of any agreed transition period). There is, however, no consensus between the parties as to what might replace the current regime. Current LMA terms provide lenders with a certain amount of flexibility in this regard: transfers and assignments to affiliates do not require borrower consent, and lenders are entitled to be prepaid and their commitments cancelled if it becomes unlawful for them to continue to participate in the facility. Prompted by these concerns, in April 2017 the LMA published an additional ‘slot-in’ mechanism that permits lenders to designate locally authorised affiliates to participate in particular loans under a syndicated facility. This ‘designated entity’ language enables lenders to have appropriately authorised local affiliates ready to step in to take on particular loans, without the need (subject to applicable regulatory requirements) to pre-allocate capital in the relevant countries or undertake a full transfer process. Payments of interest by a UK borrower or UK branch of a foreign borrower or that otherwise have a UK source and that are made on a loan that is capable of being outstanding for more than one year, are subject to UK withholding tax, currently at a rate of 20 per cent, unless an exemption applies. The UK tax regime provides for lenders to receive interest payments free of UK withholding tax if they are UK banks or UK branches of overseas banks that bring that interest into account for UK corporation tax purposes, UK tax-paying companies or partnerships, or UK building societies. Lenders that are tax-resident outside the United Kingdom may also receive interest payments free of withholding tax if they qualify under a double tax treaty with the United Kingdom (‘Treaty Lenders’, in LMA terminology). As well as satisfying the conditions in the applicable treaty, directions must be obtained from Her Majesty’s Revenue and Customs (HMRC) stating that the borrower can pay interest without deducting tax. The introduction in September 2010 of HMRC’s Double Taxation Treaty Passport Scheme (DTTPS) has, where applicable, improved the time frames within which such directions can be obtained, but there remains a greater risk of withholding tax arising in the case of Treaty Lenders than in the case of UK lenders (unless the borrower is a strong credit and has been able to limit its gross-up obligation such that it does not apply if clearance is not obtained). The scope of the DTTPS has since been extended such that for loans entered into on or after 6 April 2017, the parties no longer need to be corporates. Assuming the relevant conditions are satisfied, it can now be used if the UK borrower is an individual, a partnership or a charity or if a Treaty Lender is a sovereign wealth fund, pension fund, partnership or other tax-transparent entity, provided in the last case that the beneficial owners of the interest are entitled to the same treaty benefits under the same treaty. The treatment of UK withholding tax risk in loan documentation is well settled and reflected in the LMA’s English-law templates. In summary, the borrower is obliged to gross up the amount payable to the lenders should the borrower be required to deduct tax from such payments, provided the recipient lender was a ‘qualifying lender’ on the date of the agreement. The effect is to limit the circumstances in which the borrower might become obliged to deduct tax and gross-up any payment to a lender to a change in law that results in a ‘day-1 qualifying lender’ ceasing to be exempt from UK withholding tax. No UK stamp or documentary taxes generally apply to loan, security or loan trading documentation where a security trustee structure is used (assuming the loan is not considered to have equity-like characteristics). The conclusion of intergovernmental agreements (IGAs) between the United States and a number of countries, including the United Kingdom and most of Europe, has had the effect of largely eliminating the risk of FATCA withholding for financial institutions within the scope of those agreements. As a result, lenders in jurisdictions covered by an IGA have become more comfortable with FATCA, and practice for addressing the withholding and compliance risk in loan documentation has become more settled. In 2012 the LMA produced a series of riders for use with its facility documentation to allocate the risk of FATCA compliance and any tax deductions as agreed, which have since been updated a number of times. Rider 3, which entitles all parties to withhold as required but imposes no gross-up or indemnity obligation on the borrower, has become the standard way of dealing with FATCA risk in loan documentation in Europe, regardless of whether the borrower group includes a US entity or has US-source income. Since 2014, the Rider 3 wording has been incorporated into the Investment Grade Agreements and certain other of the LMA’s templates, together with information-sharing provisions designed to facilitate compliance. The contractual treatment of FATCA risk still requires discussion in transactions involving lenders in non-IGA jurisdictions, where there remains some variation in the agreed positions. The information-sharing provisions are deliberately worded widely enough to enable compliance with other exchange-of-information regimes, such as the OECD’s Common Reporting Standards (CRS) initiative. The CRS is sometimes referred to as ‘global FATCA’ but, unlike FATCA, it is simply an information-exchange regime and there is no withholding obligation. The information-sharing provisions require each party to confirm its FATCA status to the other parties and supply such information as is required for the purpose of that other party’s compliance with FATCA or any other law, regulation or exchange of information regime. Secured lending transactions typically involve a combination of security interests. Security can be taken over all asset classes and the choice of security interest depends on the nature of the asset and its importance in the context of the security package. Under English law, there are four types of consensual security: pledge, contractual lien, mortgage and charge. The distinction between a pledge and a contractual lien is, however, of very limited practical importance in most corporate financing transactions. The reason for this is twofold and stems from the fact that a pledge and a contractual lien are possessory security interests. First, it is not possible to create a pledge or lien over future property or land, or over intangible assets that do not fall within a very limited category of documentary intangibles (such as bearer bonds). Secondly, although many companies are willing to provide security as part of the price of obtaining finance, they will often wish to retain the ability to use and deal with the secured assets, which will not be possible where the secured creditor has possession of the assets in question. Mortgages involve the transfer of title to the asset in question to the lender by way of security, with a right to the transfer back of the mortgaged property when the secured obligation has been satisfied. A mortgage is legal or equitable depending on whether legal or equitable title is transferred.4 The form of transfer will depend on the nature of the asset in question and so, for example, mortgages over a chose in action (e.g., claims or receivables) involve the assignment of rights by way of security. The steps required to transfer legal title to an asset and to create security by way of legal mortgage add a layer of complexity that may not be required at the outset of the transaction (see further below). In general, only freehold property, significant items of tangible movable property, aircraft and ships are the subject of legal mortgages. In relation to other types of asset, equitable security is created and the secured creditor relies on contractual further assurance clauses and a security power of attorney to facilitate the transfer of legal title upon the security becoming enforceable. A charge involves an agreement by the chargor that certain of its property be charged as security for an obligation. It entails no transfer of title or possession to the chargee. In practice, there is little to distinguish a charge from an equitable mortgage, as enforcement rights such as a power to take possession, to sell the secured assets and to appoint a receiver are routinely included in documents creating charges.5 The more significant distinction is between fixed and floating charges. Broadly speaking, a fixed charge attaches to a specific asset and restricts the chargor from dealing with (for example, disposing of) that asset. A floating charge generally attaches to a class of assets, and the chargor is permitted to deal with those assets in the ordinary course of business without the consent of the chargee pending an event that causes the charge to ‘crystallise’. A typical floating charge will comprise the entirety of the borrower’s assets, whether existing or future, and whether tangible or intangible. The main consequence of the characterisation of a charge relates to the ranking of payments on insolvency. For example, expenses of both liquidations and administrations are paid out of floating charge assets. These costs and expenses can be considerable, and may well exhaust the floating charge assets. A floating charge also ranks behind certain claims of certain preferential creditors (broadly speaking certain rights of employees) and, in respect of charges created on or after 15 September 2003, the ‘prescribed part’, a ring-fenced fund, is also paid out of floating charge assets to unsecured creditors in priority to the floating chargee. Unlike expenses, the priority of employees and the amount of the ring-fenced fund are, generally, reasonably finite (the latter being currently capped at £600,000) and can be roughly calculated in advance by secured lenders. The other key difference between fixed and floating charges is that the holder of a floating charge that constitutes a ‘qualifying floating charge’ (broadly, a floating charge relating to the whole or substantially the whole of a company’s property) enjoys very privileged appointment rights in an administration. It may appoint an administrator either in court or out-of-court at any time when the charge is enforceable, and is allowed to substitute its own preferred candidate in the place of an administrator proposed to be appointed by any other person. These consequences have acted as a strong incentive to lenders to draft charge documents, known as ‘debentures’, which purportedly create fixed security over as many of the chargor’s assets as possible, combined with a sweeper floating charge over all of the assets of the chargor. However, it is important to bear in mind that when characterising a charge as fixed or floating, the courts will have regard to the commercial substance of the relationship between the parties. The label attached by the parties themselves will be largely irrelevant and, if it is inconsistent with the rights and obligations that the parties have in fact granted one another, the security will be recharacterised. a Real estate: title is transferred to the mortgagee in writing alongside the title deeds if a legal mortgage is to be created. An equitable mortgagee will also generally request delivery of the title deeds. b Registered shares: a legal mortgagee of shares must be registered as the legal owner, which may have adverse tax and accounting consequences for the lenders. Security is, therefore, often taken by way of equitable mortgage or fixed charge. To facilitate enforcement, the certificates for the shares are usually deposited with the chargee together with signed but undated forms of transfer. The articles of association are amended if necessary to ensure there are no restrictions on transfer in the event of enforcement. c Intellectual property rights: a legal mortgage or assignment of rights to intellectual property by way of security necessitates an exclusive licence back to the assignor to enable it to continue to use the rights, including a provision for reassignment on discharge of the security. It is, therefore, more common for such rights to be the subject of a charge. The appropriate method of taking security over claims and receivables such as book debts, bank accounts and cash varies. The key question is whether it is practical to create fixed security. If the intention is to create a fixed charge, the security document will need to contain adequate restrictions on the chargor’s ability to deal with both the asset and its proceeds, and those restrictions must be complied with in practice. This generally means that the proceeds of charged receivables must be paid into a blocked account. This may be achievable in relation to certain specific sums (for example, the proceeds of a disposal that are to be used to prepay the loans). However, companies will need access to at least some of their bank accounts so fixed security will not be achievable in all cases. Formal requirements for English-law security are minimal. For a variety of reasons, however, it is generally accepted that security documents should be executed as deeds. Subject to limited exceptions,7 security interests created by English companies must be registered at Companies House within 21 days of creation, whether over assets in the United Kingdom or abroad and whether or not created under an English-law security document. If this is not done, the security will be void as against a liquidator, administrator or creditor of the company and the secured liabilities will become immediately repayable. In addition, certain types of assets (for example, real property, ships, aircraft and certain intellectual property rights) may also be registered, generally for priority purposes, on specialist registers. Registrations at Companies House and at the land and other specialist asset registries attract nominal fees. c it is not possible to create a legal mortgage of future assets. However, it is possible to create equitable security (equitable mortgage or charge) over future assets. The terms of the security document may require the chargor to take steps to convert the equitable security into a legal mortgage upon acquisition of the relevant asset. The grant of security is also subject to the legal limitations outlined in Section V.
Guarantees must be documented in writing and are usually executed as deeds to prevent the guarantor from raising any questions about the existence or adequacy of consideration. Guarantees are the most common form of credit support in both secured and unsecured English-law financings. The legal limitations outlined in Section V, apply equally to the provision of guarantees. a Where registration at a specialist registry is required, the priority of competing interests is generally determined by the order of registration. b Registration at Companies House does not directly affect priority. Such registration may, however, constitute notice to third parties of the existence of the charge, which may affect the ranking of subsequent security. c The priority of successive assignments of a debt or other chose in action is governed by a common law rule under which an assignee who takes an assignment without notice of an earlier assignment and is the first to give notice of assignment to the debtor obtains priority over the earlier assignee. d A legal interest acquired for value and without notice (actual or constructive) of a prior equitable interest will normally rank ahead of the prior equitable interest. e Special rules apply to floating charges. The grant of a subsequent fixed charge or mortgage takes priority over a floating charge, unless at the time the subsequent security is created the floating charge places restrictions on the creation of further encumbrances (in the form of a negative pledge, which is customarily included in English-law financing documents) and the subsequent holder has notice of the restriction. For this reason, a note of the negative pledge is included in the particulars of the charge that are registered at Companies House, the intention being that anyone who searches the register will thereby acquire actual notice of the restriction. Registration at Companies House may also constitute constructive notice. Subordination in banking transactions is typically effected by the use of structural subordination (where ranking is determined by which company in the group is a debtor (either as a borrower or guarantor) to the junior and senior creditors) and contractual subordination (where creditors contractually agree to the ranking as among themselves). Contractual subordination is generally achieved through the use of an intercreditor or subordination agreement. Contractual subordination is often coupled with a turnover trust as a fallback to maximise the recoveries of the senior creditors in an insolvency of the debtor. Under a basic trust subordination arrangement, the junior creditor agrees that any money it receives from the debtor in insolvency (e.g., in the event of mandatory insolvency set-off or other mandatory distribution contrary to the intercreditor agreement) will be held on trust for the senior creditors to the extent of the senior debt. If effective, this has the advantage of giving the senior creditors a proprietary claim against the junior creditor, and means the senior creditors will not be exposed to credit risk on the junior creditor. It is generally agreed that, as a matter of English law, contractual subordination should be enforceable as between the contracting parties. In jurisdictions where trusts are not recognised, there is a risk that a junior creditor trustee will be treated as sole owner of the turnover property. There is also a limited risk that, in the event of an insolvency, the turnover trust provisions may be recharacterised as a security interest, which would be void for lack of registration. There is case-law support for the proposition that a turnover trust provision will not be recharacterised as a charge if it is limited to the amounts required to pay the senior creditor in full and it is, therefore, generally thought that this risk can be mitigated with careful drafting. The key issues when considering the validity and enforceability of guarantees and security are capacity and corporate benefit, financial assistance rules and the clawback risks that may arise in insolvency. These issues, which are discussed below, are frequently of theoretical concern only and are usually able to be dealt with as a practical matter in a typical transaction. To grant valid guarantees and security, the grantor must have the requisite capacity and there must be adequate corporate benefit. The corporate benefit analysis must be done on a company-by-company basis and any benefit received by other members of the group may not be relevant unless, for example, there is an element of reliance and financial interdependence between the companies. As well as carefully minuting the perceived benefits, if there is any doubt the security provider or guarantor may seek the approval of its shareholders. For a company that is solvent at the time of granting the guarantee or security, a unanimous shareholder resolution will act to ratify a transaction that might otherwise fall outside the scope of the directors’ powers, and is usually required by secured creditors as a condition precedent to funding in relation to upstream or cross-stream guarantees and security. b if the target is a private holding company, no English public subsidiaries of the target may provide financial assistance for such purpose. A number of exceptions apply but they are often not relevant in the context of secured lending. In practice, if security and guarantees are required from the target group following the acquisition, the relevant public companies in the target group will be re-registered as private companies before the financial assistance is given. Under English insolvency laws, the court has wide powers to set aside certain transactions. Guarantees and security provided by an English company or any foreign company subject to English insolvency proceedings may be at risk of being challenged by the insolvency officer if given within a certain period prior to commencement of liquidation or administration, and if certain other conditions are satisfied. The vulnerability periods differ depending on the ground for challenge and are: six months for preferences (two years if the counterparty is a connected person); two years for transactions at an undervalue; and one year for a voidable floating charge claim (two years if the counterparty is a connected person). For a transaction to be vulnerable as a preference, not only must it have been entered into within the specified period but the company must have been influenced by a desire to produce a preferential effect and must have been insolvent (as defined by statute) at the time of the transaction or become so as a result of entering into it. For a transaction to be vulnerable under Section 238 IA, it must have been a transaction at an undervalue within the meaning of Section 238(4) IA and entered into within the vulnerable period. Further, the company must have been insolvent (as defined by statute) at the time of the transaction or have become so as a result of entering into it. In practice, this ground for challenge is of relatively limited concern in most secured loan transactions because of the good-faith defence that is available. This defence applies if it can be shown that the transaction was entered into by the company in good faith and for the purposes of carrying on its business, and at the time it did so there were reasonable grounds for believing that the transaction would benefit the company. Under Section 245 IA, a floating charge may be set aside except to the extent of the value given to the company at the same time as or after the creation of the charge. If the parties are not connected, it is a defence if the company was solvent (within the statutory definition) when the charge was created and did not become insolvent as a result of the transaction. Transactions, including security arrangements, may be vulnerable to challenge on other grounds, including that they offend the common law anti-deprivation principle, which invalidates, as a matter of public policy, any agreement providing for assets belonging to a company to be removed from its estate on insolvency. The practice of delivering legal opinions and the content of those opinions is well established in the English-law loan market. As a condition precedent to funding, lenders require opinions on the capacity and authority of each borrower and guarantor and on the enforceability of the facility documentation, including any security documents. The general expectation in loan transactions is that counsel to the creditors will deliver any legal opinions. This is usually the case in domestic transactions. In some circumstances, however, the borrower’s counsel will be called on to provide an opinion. Syndicated loan opinions are typically addressed to the agent and the lenders forming part of the primary syndicate. Sometimes, where primary syndication takes place after the signing date (for example, in the case of an underwritten acquisition facility), lenders who join the syndicate within a short period of the date of the agreement (e.g., three months) will be permitted to rely on the opinion. Market practice has for some time been to permit the opinion to be disclosed to, but not relied on by, those who buy participations in the loan (or exposure to participations in the loan) on the secondary market. No further reliance on or disclosure of the opinion is generally permitted without the opinion-giver’s consent. English-law syndicated loan participations are regularly traded, most commonly by way of transfer by novation, assignment or sub-participation. Novation is the simplest and most common method and involves an outright sale of the participation. All of the seller’s rights and obligations in relation to the loan are cancelled and discharged and are assumed by the buyer. If a facility is secured in favour of the lender directly, the security will be released on the novation of the lender’s participation to a new lender. Security for syndicated facilities is, however, usually created in favour of a security trustee, who is appointed as trustee for the lenders from time to time. Use of a security trustee structure permits lenders to trade their participations without disturbing the effectiveness and priority of the security. An assignment of rights to drawn loan participations (coupled with an assumption of equivalent obligations) is sometimes used as a hybrid method in circumstances where transfer by novation would disturb security or guarantee arrangements, for example, in relation to certain foreign law governed arrangements. The LMA’s facility agreement templates contain a framework to permit trading by novation or assignment. The LMA templates do not restrict sub-participation or other trading methods such as trust or derivatives arrangements that do not involve a change to the lender of record under the facility agreement. Some borrowers negotiate those restrictions, but in most cases such trades can be effected without borrower consent. These methods of risk transfer should not disturb any security or guarantees provided in favour of the lender of record (or a security trustee acting on its behalf). The legal, regulatory and market outlook was altered significantly on 24 June 2016 with the result of the United Kingdom’s referendum on EU membership. Much of the legal and regulatory regime that underpins activities in the English-law financial markets is derived from EU directives and regulations. Over the longer term, there will be legal and regulatory changes affecting lending and secured finance activities and documentation, but the extent of those changes still remains unclear. The United Kingdom has supported most of the EU regulatory framework, many of its EU commitments are reflected in domestic law and many of the important aspects of EU regulation stem from G20 or other international commitments, which may limit the scope of any changes the government wishes to make in the longer term. In addition, the European Union (Withdrawal) Bill 2017–19, which received Royal Assent in June 2018, seeks to maintain the status quo as the UK leaves the EU by providing for the adoption into domestic law of all EU laws applicable on ‘Brexit day’, together with the mechanisms necessary to ensure that those laws continue to operate and make sense in a stand-alone context. It is possible that going forward, the UK will try to achieve equivalence with pre-existing EU rules in many areas, but this is a topic that will continue to require attention as the Brexit landscape develops. The parties are currently aiming to conclude a Withdrawal Agreement by autumn 2018, the current draft of which anticipates a transition period following the UK’s exit from the EU. If the Withdrawal Agreement is concluded on this basis, the status quo will, in essence, be maintained until the end of December 2020. The nature of the arrangements that will follow remains the subject of ongoing negotiations. Helping businesses across the EU to reduce reliance on bank funding is a key plank of the European Commission’s landmark project to create a Capital Markets Union, a project in which the United Kingdom will cease to play a part going forward, but the impact of Brexit on the availability of finance and the products on offer over the longer term is difficult to anticipate. As was the case last year, there are few current indications that banks’ liquidity or funding positions have altered significantly, but it seems prudent to anticipate that lending criteria may tighten, and there are signs that banks are looking at the impact of Brexit on their customers when approving new loans. Treasurers may, therefore, focus again on alternative sources of finance. 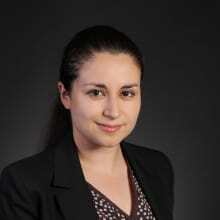 1 Azadeh Nassiri is a partner and Kathrine Meloni is a special adviser at Slaughter and May. 2 BoE Credit Conditions Review Q1 2018. 4 An equitable mortgage arises either where the necessary requirements for a legal mortgage have not been met or where there is an agreement to create a legal mortgage. In practice, the distinction between legal and equitable mortgages, which is of relevance when determining priority rights, is reasonably straightforward to establish. 5 There are very few situations in practice in which it would be necessary to distinguish between the two. The reason for this is that the priority position of a fixed charge is virtually identical to that of an equitable mortgage, and the registration requirements are the same. 6 Under English law, perfection steps (other than registration at Companies House) generally relate to priority and failure to take such steps does not mean a security interest will be invalid. 7 The main exemption is for interests in shares and financial instruments, cash and credit claims that constitute ‘security financial collateral arrangements’ under the Financial Collateral Arrangements (No. 2) Regulations 2003. However, this exemption is not generally relied on in practice because of uncertainty as to how to interpret the requirement that the security asset must be within the control of the collateral-taker. 8 Section 238 Insolvency Act 1986 (IA).